A new kind of flat, ultrathin lens has been created by Harvard physicists that can focus multiple colors of light in the same spot. 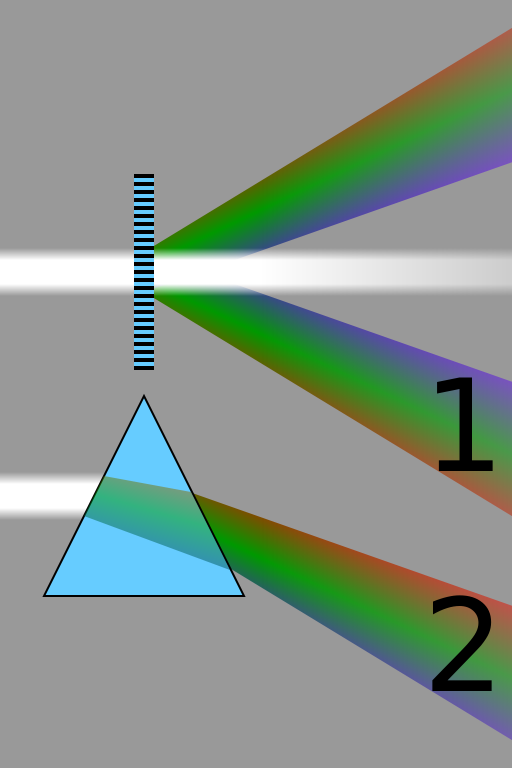 Traditional lenses and other optical devices focus different colors in different places, requiring multiple lenses to create a sharp, multicolor image. By developing one flat "colorblind" lens that can focus many colors in the same way, the researchers hope their device can be used in fields where miniature, low-cost lenses are key, such as photography, optical communication, astronomy, and microscopy. An argon laser beam of multiple colors (blues and greens) is reflected off of a diffraction grating mirror. Each color follows a different path after reflection, something that Capasso's group is working to avoid. Four years ago, the Harvard optics research group led by Federico Capasso created a prototype flat lens with a carefully designed surface of tiny antennas to control how light passes through the lens. This designer surface is called a "metasurface" because it is engineered to interact with light differently than a normal glass lens. A flat lens can be made extremely small because it avoids the bulky, curved surfaces of a traditional lens. Building on this previous work, Capasso's group was motivated in part by a challenge set to them by Google X and specifically the Google Glass group, which has a natural interest in creating lighter, smaller, and easier-to-produce optical lenses. "Last year, we challenged Professor Capasso’s group to work towards a goal which was until now unreachable by flat optics," said Bernard Kress, principal optical architect at Google X, in a Harvard press release. "We are very happy that Professor Capasso did accept the challenge, and also were very surprised to learn that his group actually solved that challenge within one year." 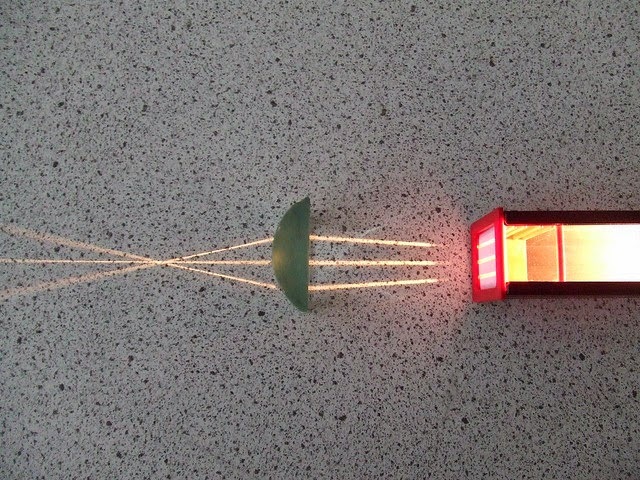 The challenge was to create a flat optical device that focuses multiple colors into the same spot. Until now, flat lenses have had the problem that different colors, or wavelengths, of light respond differently to their metasurfaces. Unless the researchers combined many different flat lenses together, they could only work with one wavelength at a time, and focusing a multicolor image was impossible. This is known as "color (or chromatic) aberration" and is also a issue for traditional lens and prisms, as well as flat diffraction gratings which have rows of parallel slits or ridges to split light into beams of different colors. The rainbow effect is cool and very useful for studying the spectrum of light, but it's not good for focusing images. "In refractive optics, in order to compensate for chromatic aberrations, one has to pay the price of a larger footprint, a larger and thicker optical component, and so forth," said Capasso in an email. Now, using commercially available parts and technology, Capasso's group have custom built a flat glass lens embedded with tiny silicon antennas. This lens can receive three incoming colors of light and, depending on the color, bend them in exactly the right way so that the three colors are focused to the same spot on the other side of the lens. "What this now means is that complicated effects like color correction, which in a conventional optical system would require light to pass through several thick lenses in sequence, can be achieved in one extremely thin, miniaturized device," said Capasso. By thin, Capasso means the thickness of the lens is considerably less than the wavelength of light. His group has designed their lens to handle light from infrared (wavelengths less than about 0.1 millimeters) to UV (wavelengths down to about 50 nanometers) colors. The image on the left shows a close up view of lens' metasurface, with embedded antennas (parallel ridges) spaced 100 to 800 nanometers apart. Thanks to these antennas, light of three different colors is shown to focus to the same spot about 7.5 millimeters away from the lens. A miniature, colorblind lens that can process multiple colors in the same way "opens the door to a lot of applications," said Capasso. He added that industry is already taking note, and hopes to this new lens used in a range of devices from compact digital cameras to holographic 3D displays of many colors. 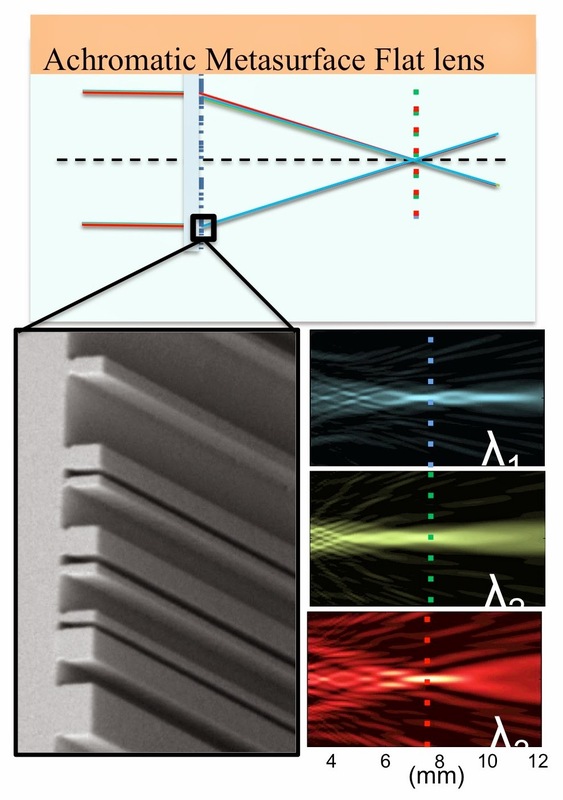 This work was published last week in the journal Science: "Multiwavelength achromatic metasurfaces by dispersive phase compensation" by Francesco Aieta, Mikhail Kats, Patrice Genevet, and Federico Capasso. The particular is certainly determining the best new buyer rolex replica sale. Could possibly be many hundreds approximately, however is not every one will offer you any truthful price tags. In actual fact, certain could possibly endeavor to get you to provide on a percentage within the valuation within the article, mainly for people with hardly any suggestion what precisely you’re in reality reselling rolex replica sale. No company likes an awful bargain, which means that when getting one of the best in your solutions, below are some how to find the best fake rolex see together with collectible clients NEW YORK. Except when you’re an expert collectible worker, after this you perhaps wouldn’t own substantially understanding the thing you’re reselling tag heuer replica. In actual fact, just the thing you would probably fully understand is certainly that your article you will have were in your own friends and family meant for several years, or simply that you choose to picked up cartier replica sale it all on a garage area great deals together with was initially said to that this was initially an antique.